The University of the Nations follows the organization of many universities, in which the President is responsible for giving overall direction, leading the institution into the future and relating to governments, alumni, the Board of Regents, and friends. Because of the vast scope of this job, the Provost must select qualified people to give leadership to specific areas. Thus, the Provost Team includes several Assistant Provosts who have responsibility for areas such as the Records System, internal communication, research, course registration and approval, and academic policies. Tom Bloomer studied archaeology at the University of Illinois (B.A. 1972), and worked as a house painter, French translator and ladies' shoe salesman before marrying Cynthia. In 1983 they responded to a call from Loren Cunningham and Howard Malmstadt to help develop the University of the Nations (UofN). 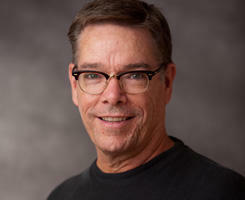 A Master's degree in Intercultural Studies from Wheaton (1987) and years of experience in cross-cultural education proved invaluable as Tom helped coordinate, refine, and improve the different courses developing through the UofN. Tom completed a Ph.D. in Education Science at Trinity International University in 1999. He has served as the International Provost of the UofN since 2001. Tom lives at one of the UofN’s mini-campuses in French-speaking Switzerland, and is committed to teaching and mentoring students and staff. Camille Bishop is a missionary educator who joined YWAM in 1987 and has worked specifically with the University of the Nations since 1991. She worked in teacher training in Albania after that nation opened up, then served as the Associate International Dean for the Faculty of Education for 10 years. She currently serves on the Provost Team for the University of the Nations. In this capacity, Camille teaches in many U of N courses, and assists with staff training and administrative projects. 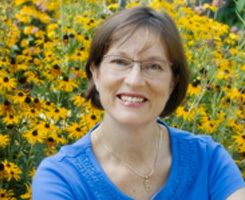 In 2008, she published a book on leadership transition based on her research for her Ph.D. dissertation in Education Science. The book is entitled, We’re in This Boat Together: Leadership Succession Between the Generations. Her calling to the nations has taken her to 70 nations of the world. Derek Chignell has assisted with the development of the University of the Nations since 1984, and became a full time staff member in 2002. A biochemist with research interests in proteins and nucleic acids, he taught at Wheaton College, Illinois, USA for 25 years. 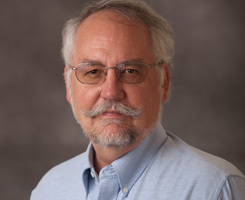 He has worked in the UofN’s Faculty of Science and Technology, and in recent years has been directing the Water for Life Institute, which assists communities around the world in finding answers to their water needs. From 2004 to 2010, every three years Derek led a team which produced the U of N catalogue. He continues to serve on that team, having turned over the mantle of leadership to John Henry. Derek has been a member of the Provost Team since 2004 working on curriculum. He teaches in schools and seminars around the world, with particular emphasis on water purification, and the interaction of science and faith. 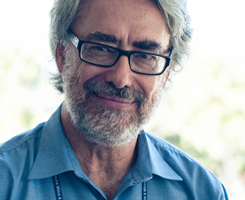 Steve Cochrane has worked with YWAM since 1979. 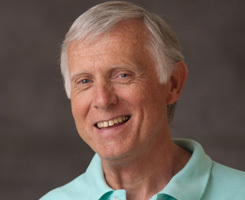 He took the pioneering team for YWAM in South Asia into Kolkata, India in 1982. 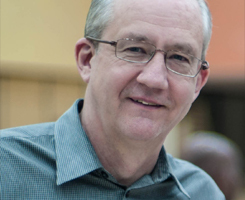 Steve has had many roles of YWAM leadership including several years as the International Leader of Frontier Missions. He carries a strong heart for the Muslim world, starting the School of Frontier Missions in India in 1989 and the School of Islamic Studies in 1997 that is now running in four nations. As part of the heart for Muslims, Steve completed his PhD in the History of Christian-Muslim relations in 2014 from the University of Middlesex and Oxford Centre for Mission Studies, with a special focus on 9th century Asia. He has published nine articles and two chapters in books, and is presently developing his doctoral thesis into a book. Steve and his wife Elisabeth spend half the year in India and half in the USA at present, with their two daughters still in university. His particular concern also is to see the University of the Nations be impacting the nations of Asia including many unreached people groups there. John heads a team to produce the UofN catalogue issued every three years and updated every 6 months. He has been a member of the U of N Leadership as founder and former director of the Student Mobilization Centre since 1995. Since 1989, John has directed the Field Ministry Internships program, developing essentials for spiritual formation and leadership emergence. He has mobilized seventy-five student internship projects from over 100 colleges and universities in nine countries to serve and learn alongside long-term field projects on short-term internships in over thirty countries. In recent years John has been developing Converge, which assists communities around the world in finding qualified interns for various development projects. John and his wife, Mary, have three children, two boys, and one girl adopted from China. Patti worked as a surgical technician before her 33 years of field experience on four continents in inter-cultural communications, leadership training/development, policy development, and resource development. In 1991 Patti pioneered the University of the Nation’s Centre for Discipleship Training along with YWAM’s Co-founder, Darlene Cunningham, and continues to serve as the International Assistant Director of the DTS Centre to date. She began serving in the capacity of Assistant Provost in the UofN in 1996 with a particular focus on policy and procedure development. Three years later she and David Hamilton created the ‘UofN Reference Guide’, a written resource and training tool which serves to point UofN School Leaders/Staff to the reference points of the foundational vision, values, principles, guidelines, policies and procedures of the University of the Nations. 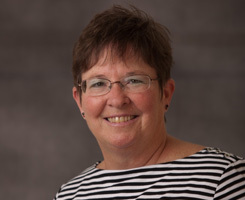 In 2006 Patti also began to give leadership oversight to the UofN’s International Registrars, taking on the responsibility of the worldwide Records system of the UofN. She continues to serve the UofN in each of these roles today and lives in Cape Town, South Africa. Hans Sandtorp serves as the Executive Administrator for the Office of the International Provost. He served at the Grimerud training centre in Norway as chef, base administrator, and project leader, and was the centre director from 2000-2006. 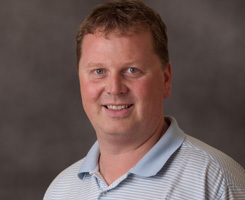 Hans organizes and helps to lead programs, conferences and events where University leaders, faculty and staff can be equipped for their area of service. Brad Tout worked in youth ministry prior to joining YWAM in 1991. He has been very involved in U of N training since that time, leading many schools over the years and teaching in many nations which he still loves doing. He served as the Associate Dean in the College Of Counseling & Healthcare from 2001 to early 2016. Since 2000 Brad has also been involved in the implementation of quality training standards through the development, refining and monitoring of procedures and staff training programs at both a local and national level in Australia.